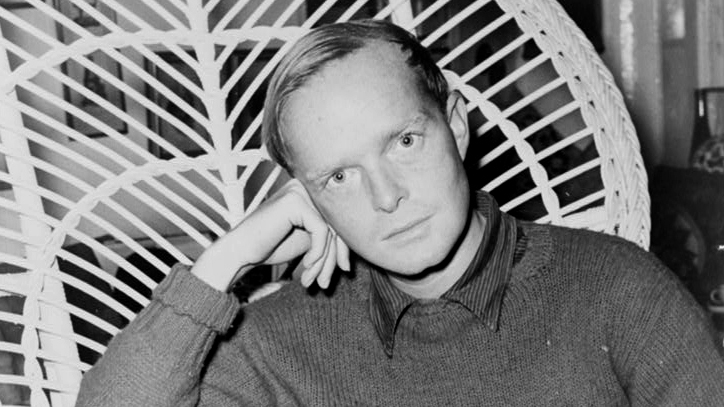 Throughout his career, Truman Capote remained one of America’s most controversial and colorful authors, combining literary genius with a penchant for the glittering world of high society. Though he wrote only a handful of books, his prose styling was impeccable, and his insight into the psychology of human desire was extraordinary. His flamboyant and well-documented lifestyle has often overshadowed his gifts as a writer, but over time Capote’s work will outlive the celebrity. In his mid-teens, Capote was sent to New York to live with his mother and her new husband. Disoriented by life in the city, he dropped out of school, and at age seventeen, got a job with The New Yorker magazine. Within a few years he was writing regularly for an assortment of publications. One of his stories, “Miriam,” attracted the attention of publisher Bennett Cerf, who signed the young writer to a contract with Random House. Capote’s first book, Other Voices, Other Rooms, was published in 1948. Other Voices, Other Rooms received instant notoriety for its fine prose, its frank discussion of homosexual themes, and, perhaps most of all, for its erotically suggestive cover photograph of Capote himself. With literary success came social celebrity. The young writer was lionized by the high society elite, and was seen at the best parties, clubs, and restaurants. He answered accusations of frivolousness by claiming he was researching a future book. His short novel, Breakfast at Tiffany’s (1958), took much of its inspiration from these experiences. With the publication of Breakfast at Tiffany’s and the subsequent hit film staring Audrey Hepburn, Capote’s popularity and place among the upper crust was assured. His ambition, however, was to be great as well as popular, and so he began work on a new experimental project that he imagined would revolutionize the field of journalism. In 1959, Capote set about creating a new literary genre — the non-fiction novel. In Cold Blood (1966), the book that most consider his masterpiece, is the story of the 1959 murder of the four members of a Kansas farming family, the Clutters. Capote left his jet-set friends and went to Kansas to delve into the small-town life and record the process by which they coped with this loss. During his stay, the two murderers were caught, and Capote began an involved interview with both. For six years, he became enmeshed in the lives of both the killers and the townspeople, taking thousands of pages of notes. Of In Cold Blood, Capote said, “This book was an important event for me. While writing it, I realized I just might have found a solution to what had always been my greatest creative quandary. I wanted to produce a journalistic novel, something on a large scale that would have the credibility of fact, the immediacy of film, the depth and freedom of prose, and the precision of poetry.” In Cold Blood sold out instantly, and became one of the most talked about books of its time. An instant classic, In Cold Blood brought its author millions of dollars and a fame unparalleled by nearly any other literary author since. With these first short publications Capote found that many of his close friends and acquaintances shut him off completely. Though he claimed to be working on Answered Prayers (which many imagined would be his greatest work), the shock of the initial negative reactions sent him into a spiral of drug and alcohol use, during which time he wrote very little of any quality. When Capote died in 1984, at the age of fifty-nine, he left behind no evidence of any continued progress on Answered Prayers. 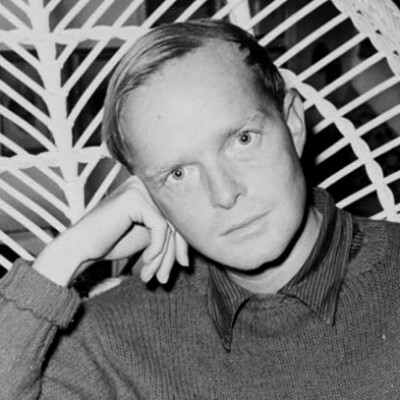 Though many feel that Capote did not live up to the promise of his early work, it is clear from what he did write that he was an artist of exquisite talent and vision. With both his fiction and his non-fiction, he created a body of work that will continue to move readers and inspire writers for years.